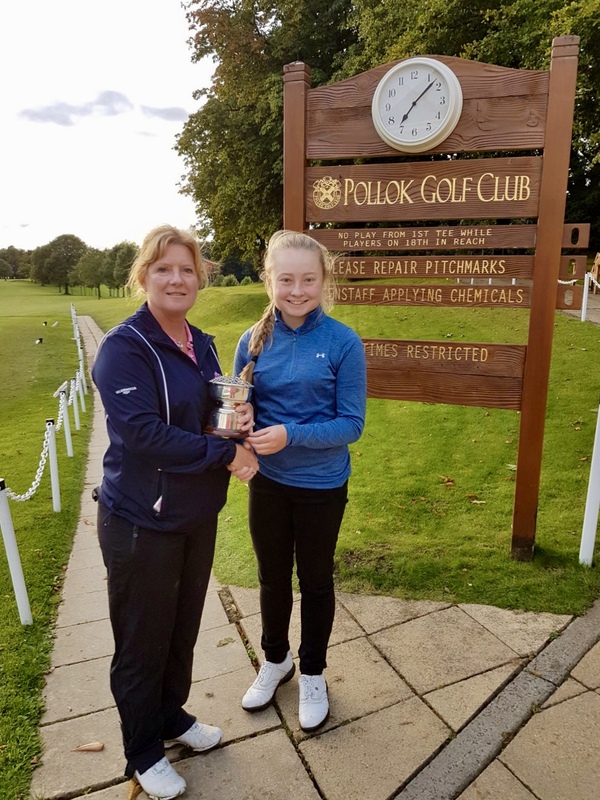 KirkwoodGolf: Renfrewshire's Jennifer Rankine wins the Junior Championship for the Fourth time in a row. Renfrewshire's Jennifer Rankine wins the Junior Championship for the Fourth time in a row. Jennifer Rankine (Haggs Castle) won the Renfrewshire County Junior Championship for the 4th time in a row to beat Naimh Kinney (Erskine) 3 and 2. Eilidh Briggs won the title 5 consecutive times from 2006 - 2010 and Jennifer still has time to try and beat the record. The final took place over Pollok Golf Course on the 13th September.